Price: There is no registration fee involved. Who should attend: Organizations that have innovating practices and excellence in talent acquisition, including work within areas such as employer branding, technology, talent development, engagement, retention and financial analysis . 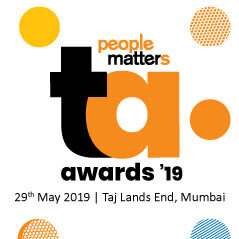 People Matters has opened applications for Talent Acquisition Awards 2019. The deadline for submitting the applications is 22 April. Each year, it has been our endeavor to keep the community engaged and bring forth the practices that have led to a forward-looking transformation in talent acquisition. 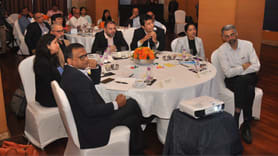 In this endeavor, we are joined by renowned HR leaders and experts from across the industries to assess different aspects of Talent Acquisition which have enabled Human Resources as a function to strengthen its relevance and role in the larger business context. Over 250 companies participate every year, making this award the largest and most reputed Talent Acquisition Awards in the community. If your team has created a tremendous business impact designing the leading best practices in Talent Acquisition. Join us and share this success story with us at the People Matters Talent Acquisition Awards scheduled on 29 May, at Taj Lands’ End, Mumbai. President - HR, Tata Motors Ltd.
Not a People Matters member? Sign up for free now! Already a registered user or a subscriber? or Ask to be contacted.